In January I made a pact with myself to begin the New Year with my spirit directed towards learning more about who I had become up to this point in my life. 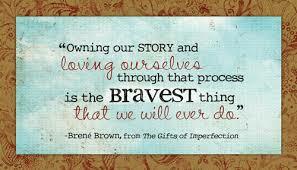 My vehicle of discovery was an online course with shame researcher, author and speaker Brene Brown. This course was based on her most recent books, “Daring Greatly” and “Rising Strong”. I shared my intentions with you, dear readers, in my first newsletter of 2016, just two weeks into my learning. In our journey of life transitions, we are challenged in a variety of ways. The first is to make it through…hopefully having healed, learned and grown through the experience. Divorce, Bereavement, Career Change, Retirement or Recovery Issues are places where we are tested in how we will travel through adversity. We experience vulnerability and a wide range of emotions. What we discover through this process can put us on the path to living our lives with more authenticity and wholeness. So, here I was, going back in time to look at my own stories and answer probing questions about what emotions and self beliefs motivated my life choices. I was really going to need to make a firm commitment to digging deep and being totally honest with myself! After all, that’s what I signed up for, an opportunity to start 2016 with an inner exploration that would help me grow and share my discoveries with the women I work with. This would be my window into greater awareness of our journey through life transitions. I didn’t imagine it would be easy…but did it have to be so hard??? YES… it really did!!! Self Exploration With Honesty and Openness Is Hard! When we look at our stories in this soul searching way we may find unhealed places that have been left unattended to. Understanding without judgment about how and why we made certain choices can open us up to feeling very vulnerable and raw. When Wendy was finally able to come to the decision to divorce her husband, she was only able to see some of the signs that led her to that point. It was a few years after her divorce, when she was on the path of her new beginning, that she could revisit her more hurtful memories without judgment or anger and discover what she was not able to give to the relationship at the time. It was painful and hard work, but the healing and insight that Wendy came away with allowed her to see future relationships differently. Get Curious About What You Are Feeling. I had never examined emotions in terms of curiosity…certainly not the ones I was feeling! Once our emotions are controlling us, we are unable to think of asking questions about them to explore what messages they have to tell us. We get too caught up in them. We tell ourselves stories about what we are feeling to justify these emotions. Realizing this can be quite an eye opener! When Jenny lost her job, the story that came out of her anger, panic and fear was how unfair the layoff was. “How could they?” The unfairness of the situation supported her anger, panic and fears, causing an endless loop of negative thoughts. She could not see that the layoff was not directed at her personally, but was an unfortunate circumstance of a failing business. When she was able to rewrite her story to include this, she was less angry and resentful. This feed her from being trapped in the unfairness of the situation. She could instead train her focus on her future, not her past. Out from under these feelings, she was able to be more successful in finding a new job. My third “aha” moment during this course, was naming and connecting my values, those truths of how we aspire to live our lives, to understanding how values define us. Our values are an integral part of who we are. They guide our choices and how we relate to the world around us. Naming and feeling into what our values are, is key to coming to know ourselves in a very personal and intimate way. When Sofia retired she felt lost and didn’t know what to do with herself. Nothing seemed to fit for her…Until she connected her values to the possibilities of what she might want to do. She had always been a compassionate people person. Helping others was very meaningful to her, a source of joy and fulfillment. These values led her to look into volunteer activities that would engage her friendliness and compassion. I have one more thought about my Living Brave semester that I would like to pass along to you. During my learning, I became very enthusiastic about what Brene Brown calls Permission Slips. You may remember them from your elementary school days when you needed a Permission Slip to leave the classroom. These Permission Slips are notes thatwe make for ourselves, giving voice to what we need. Think about what you would like to give yourself permission to do. Perhaps you would like to give yourself permission to Not Be Perfect. Maybe you need a permission slip that says It’s Okay to Be Kind to Yourself. Our Permission Slips are there to encourage us to move out from under whatever self-defeating messages we carry. You can actually write them on Post-It Notes and put them where they can remind you of how you want to treat yourself. You can write them in a journal and track your progress in giving yourself that permission to be who you want to be. My Permission Slips gave me a whole new way of being in this learning situation. I didn’t worry or fret about finishing on time or making sure I got the “assignment” right. This was my New Year’s gift to myself, an opportunity to look at my stories through a different lens. I took time and patience with my answers with an awareness that my feelings couldn’t be rushed or forced. d work is in looking deep within our story to find the healing and new perspective that allows us to know ourselves, our strengths and weaknesses a bit better. 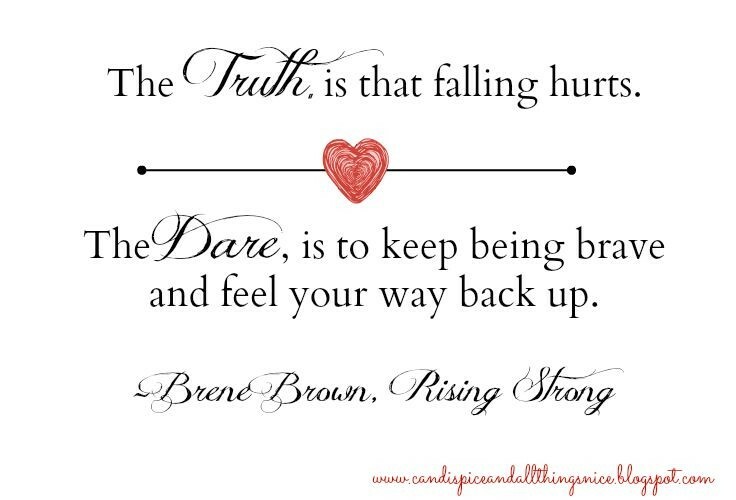 When we are challenged with hard life changes we can learn about our values, our courage and our resilience. you to discover and grow from?